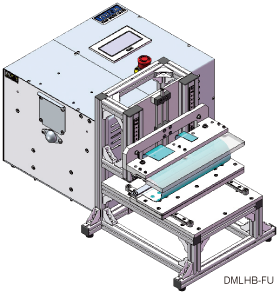 U-shape Sliding Plate Test [DMLHB-FU / DMLHP-FU] - YUASA SYSTEM Co., Ltd. 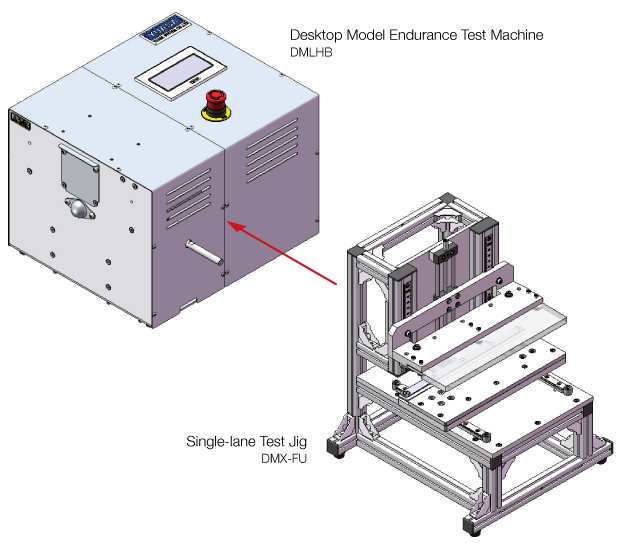 This machine realizes proﬁtable tests for planar objects like ﬂexible displays. Folding test pieces in U-shape to clamp, the output axis reciprocates the lower clamp back and forth. A test piece from 215mm in width to 3mm in thickness is available to test. 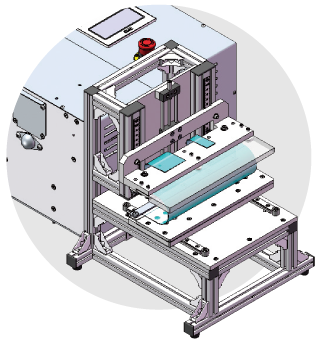 Under the same thickness, this machine also tests at a time the two or more objects whose total length is up to 215mm. 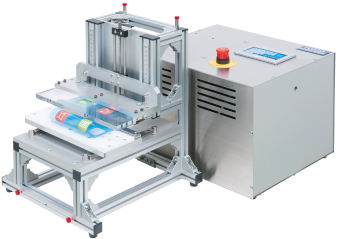 This machine offer you a large variety of ﬂexible tests in which you can select a fold radius between 0.5 - 5 - 80mm in the case of 0mm objects in thickness, a stroke between 0 - ±60mm, and a speed between 10 - 90r/min. By using a transparent holding plate, test pieces are checked easily.